A high-quality industrial abrasive made for extended general-purpose grinding on metals, castings, welded joints, rivets and rust. PORTAMATE has been a pioneer in developing strong, sturdy mobile bases for woodworking and machine shop tools, so its no surprise that were again leading the pack with this 1500lb universal mobile base. Its an industrial strength, fully-adjustable rolling platform, with a capacity that exceeds the competition by hundreds of pounds. Like our other mobile bases, this 1 increases and decreases size in 1 inch. increments, from 20.75 x 23.75 inch. to 28 x 33.5. The all steel construction, solid corner brackets, and 4 smooth as silk casters (with foot control locking levers) ensure the strength and stability you are looking for. The PM-3550 is ideal for virtually all larger machines (like band saws, planers, jointers, and many more), and also the perfect rolling base for cabinets, that giant safe you have, large tool boxes, and anything else you need to make mobile. Everything you need is included, and we back it with a full 1 year warranty. 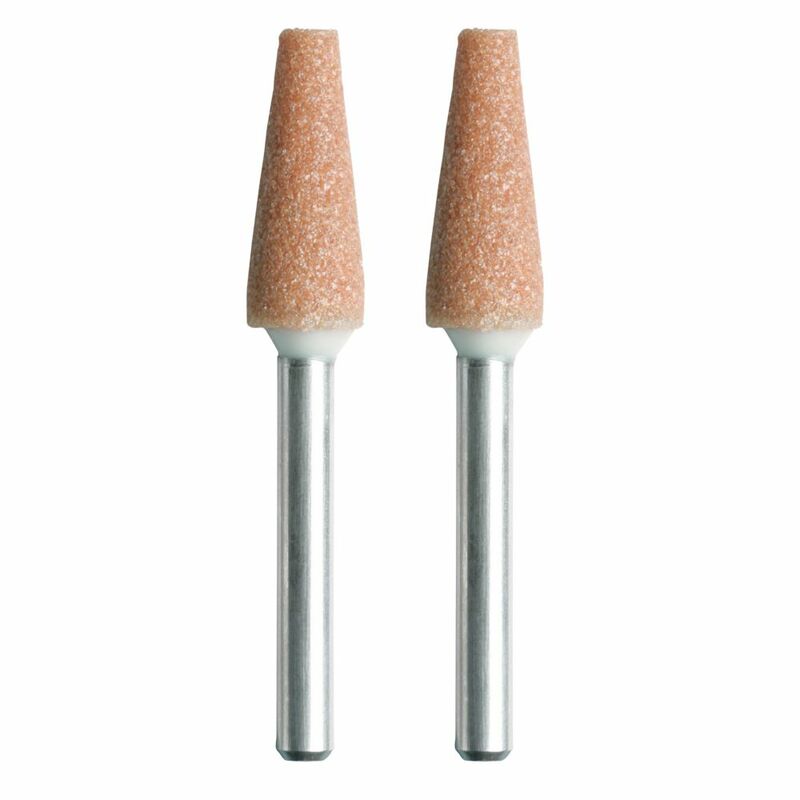 1/4-inch Aluminum Oxide Grinding Stone (2 Pack) A high-quality industrial abrasive made for extended general-purpose grinding on metals, castings, welded joints, rivets and rust. 1/4-inch Aluminum Oxide Grinding Stone (2 Pack) is rated 4.3 out of 5 by 4. Rated 3 out of 5 by HCloward from This was the exact shape that I needed for a very detailed door design that I was stripping. I th... This was the exact shape that I needed for a very detailed door design that I was stripping. I thought that this would hold up better. They got took much paint around the store that I was unable to get off and the first one that I used chipped after a few hours. Might have just been my luck or project but I expected it to hold up a little better. Rated 4 out of 5 by Corvus from Love my Dremel I got these grinding stones to take off burrs on steel. Do the job well, except they seem to stop being effective rather quick. I don't know if they can be cleaned or what, or if I need to use a different grinding bit(s). I can see how effective they can be with the variable diameter. Overall not a flunker, as I am new to working with some material. Rated 5 out of 5 by Skunked from Stone grinding tool Perfect size and very durable. This is not the 1st time I have purchased this product. I use a lot for different projects and need to replace only due to the extreme use. But I do like how they hold up well to my abuse.